Find DoubleTree Resort by Hilton Grand Key - Key West deals, discounts and special offers. The Marquesa is a landmark boutique hotel in the historic district, set in 4 buildings, and has 2 swimming pools. A Mediterranean-style resort located at the southeastern tip of the island, Casa Marina is on 1,100 acres. The Ocean Key is a full-service resort with on-site spa, located directly on Duval Street. This resort offers nightly and weekly residential-style accommodations located a short distance from Smather's Beach. This Victorian style inn is on the National Register of Historic Places and offers nightly live entertainment. The Heron House is a B&B with 23 rooms, located four blocks from the beach. The La Mer is a historic Key West house located at the corner of South and Simonton Streets with a semiprivate beach. This resort has a secluded beach, full-service marina, and is a smoke-free facility. This Inn has tropical suites, shoreline entrance & private beach. The Ambrosia is an intimate hotel perfect for a family retreat or quiet getaway. This seaside adult-exclusive resort caters to weddings, private get aways, and romantic holidays. 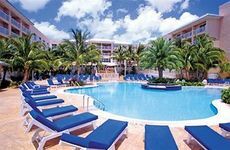 The BeachSide is a waterfront resort in a secluded location with free shuttle service to downtown Key West. This private resort with Mediterranean influenced décor, a block from the beach, offers suite with terraces.